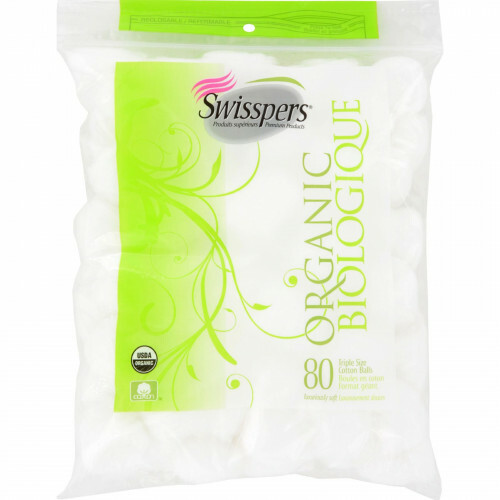 Swisspers Organic Triple Size Cotton Balls are purely organic and designed with superior softness. They are highly absorbent, which makes them ideal cotton balls for makeup removal, fingernail polish removal, applying astringent and toner to the face, and applying ointment to cuts and burns. They are grown on pure organic farms that are regularly inspected to ensure organic practices are meeting the highest standards. These triple size cotton balls are handy to have in your bathroom closet or medicine cabinet.